ecoartspace is currently preparing for a gathering of art and ecology galleries, nonprofits, collaboratives in the form of a summit to take place at the Exploratorium in San Francisco on October 10th at 6pm. 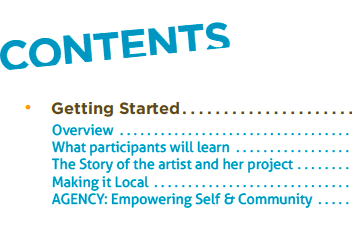 It seems there are so many of us working to do ecoart programming, and many of us searching to find funding for these activities, that we decided it was time to come together and see what we can learn from each other. ecoartspace will celebrate its tenth year as a nonprofit in 2009. Greenmuseum has been operating from Corte Madera since 2001. And, since 2004, Mia Hanek has been developing the Natural World Museum out of San Francisco. Probably the oldest ecoart organization in the Bay Area is WEAD, the Women's Environmental Art Directory, founded by Susan Leibovitz Steinman and Jo Hanson back in the 1990s. More recently, Southern Exposure, an alternative space in the Mission District, has focused on ecological subjects as well. And, the Yerba Buena Center for the Arts will soon open "The Gatherers" on October 31st. The impetus fo rthis event was artist Shai Zakai, founder of the Ecoart Forum in Israel, who is coming to San Francisco as part of a visit to the states for an exhibition entitled Global Warming at the Icebox in Philadelphia, which opened last week. If your in the area, please come participate in this discussion. With the election around the corner, and the ongoing economic crisis, we need to pull together to come up with the most creative work yet!